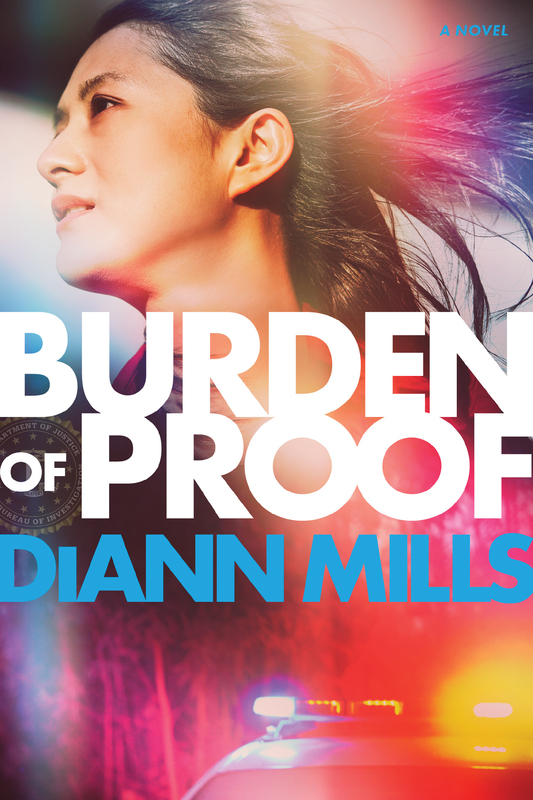 I love how Diann Mills just dives right into the action in her novels and her latest, "Burden of Proof," is no exception! Wow, what a ride from start to finish! April is reeling from a situation on the job gone wrong, as this is the worst kind of result in her line of work as she is a negotiator for the FBI, when she finds herself caught in the midst of another situation. All April wanted was to get a cup of coffee and she suddenly finds herself holding a crying baby and then kidnapped by a man stating that the baby is his. April has to unravel what is true, learn who she can trust and uncover some scary things that may be going on. This is such a good book, I did not want to stop reading as it was just non-stop action and I had to know what was going to happen next. April is such a great main character, her strength and integrity really shines as she is not looking for the easy way out or for herself at any time, but what is best for everyone involved in the situation and as it turns out situations. There are also many great lessons and messages throughout such as the past can be worked through and overcome, people can definitely change and the hope and help from God will help you through. I highly recommend this book for those whom enjoy romantic suspense. I thought this was a new stand-alone novel, but it looks as if it is the start to a new series from Diann, which is exciting as well! Go here to read chapter one and praise for Diann's other books! Lisa Harris' latest romantic suspense novel, "A Secret To Die For," is my favorite one so far from her! This is fast-paced, twists and turns throughout that kept me constantly guessing and kept me reading from the start to the very end. Grace is spending a quiet night at home reading a novel before bed when she hears a noise downstairs, this changes everything for her. At her first interaction with the intruder in her home, Grace realizes that one of her clients was not struggling with paranoia as the threat was real and she honestly has no idea what the intruder is asking her about. Grace finds herself trying to protect herself and discover what this person is after before she or anyone else is killed. Detective Nate Quinn has just been cleared to be back on the job and Grace is relieved to see the face of an old friend and hopes he can be the one to help her as she believes she cannot handle this on her own. This is such a great story! I loved Grace right from the start and found her relatable and of course her being a psychologist further intrigued me as this is my background. I highly recommend this for anyone whom enjoys romantic suspense, this is a quick-read that will not disappoint! There is so much talk about mindfulness, being fully engaged in the moment, be where you are at, especially with so many distractions coming at us from all side, in particular our cell phones that are always on and always with us. This being said, the latest book from Dr. Caroline Leaf is such a timely read! "Think Learn Succeed: understand and using your mind to thrive at school, the workplace, and life" discusses mindfulness, but also how to use our mind, how to be engaged in all types of settings and situations. I like how Dr. Leaf takes things to the next level, goes an extra step as she lays out the research and also using examples and steps to take. My absolute favorite chapter is the one focusing on the support mindset and the activation tips that she shares along with this. We do not live on an island, we are impacted by each and every person we have contact with on a daily basis and also by our environment. Dr. Leaf makes a good point that for a person facing difficulties and struggles being isolated could be deadly. The support we give to others and receive for ourselves is key, whether it is face to face or through social media; there are strong repercussions and our mindset plays a strong part of this. I highly recommend this book for everyone to read, as you will learn so much for yourself, but also to share with others with whom you interact whether as a friend, in a work relationship, or as a teacher with children. "Imagine when hearing the sound of the morning alarm, instead of groaning or slapping the snooze button, your mind, your heart, and your soul awaken to possibility. Something better. Something more. Imagine waking up each day fueled by a whisper: 'This is the day.'" 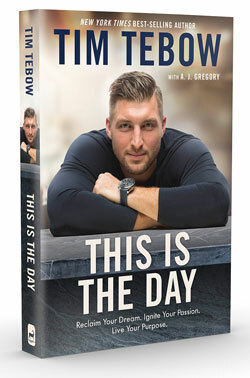 In This Is the Day, sports icon Tim Tebow challenges us to stop putting off until tomorrow what God is calling us to do today. Whether you need to get in shape, change your career, or reach out to someone in need, This Is the Day inspires you to not delay but to seek after God's purposes now. Through sharing personal stories and biblical principles, Tim invites us to leave our comfort zones—even to risk failure—so we can experience God's greatest influence in our lives. This Is the Day will help you get unstuck and discover lasting meaning and joy. Because life isn't just about one day. It's about today. 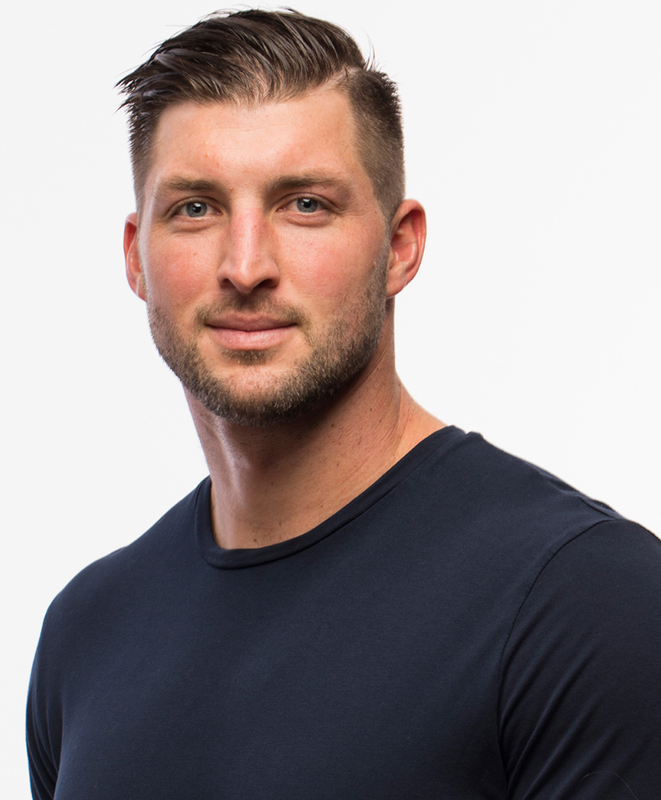 TIM TEBOW is a two-time college football national champion, Heisman Trophy winner, first-round NFL draft pick, ESPN contributor, and professional baseball outfielder with the New York Mets. He is the author of the New York Times bestseller Shaken, which was named the Evangelical Christian Publishers Association’s 2017 Book of the Year. Tim’s true passion remains the work of the Tim Tebow Foundation, which he began in 2010. The foundation’s mission is to bring Faith, Hope, and Love to those needing a brighter day in their darkest hour of need. The foundation fulfills this mission every day by serving thousands of deserving children around the world. Learn more at TimTebow.com. Tim Tebow is such a positive role model for children, teenagers and adults alike as he lives his life in the spotlight with integrity and an example of God to the world. 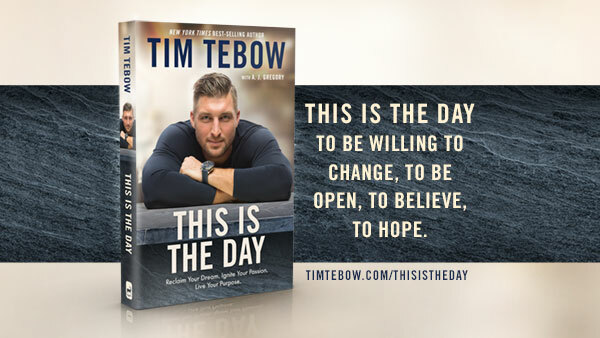 Tim's latest book, "This Is The Day" is written to help each and every one of us to really live each day with purpose, live each day for the gift that it is. I love how he begins the book asking and illustrating various ways to start the day, including how his parents would wake him up as a child. Our mindset and outlook for the day ahead each morning will set the course for the day. All too often we are focused on yesterday(s) or looking ahead to tomorrow(s); all this is doing is preventing today from being the day, the day we can accomplish something, the day we can make a difference, the day we can live with purpose, the day we can pursue our dream. Tim shares how each day can be different, how we can choose to make each day a better day, how we can be something or be the change on any given day. By tying in personal stories and stories that have been shared with him all while focusing on God's truths and promises and letting Him lead his life. This is an excellent book to read and one that will encourage you to really focus on the present, as today is the day. "Everything She Didn't Say," the newest novel from Jane Kirkpatrick is a historical masterpiece that will transport you back in time and have you feeling like you're living among these women heading out west. Jane has done much research to write this novel and it surely was worth it as she brings Carrie's "Dell" life story to life through this book! Dell keeps record of her life as she and her husband travel out West, however she glosses over details and writes only the brighter, happier time. However, the time has come that she is rally to reveal secrets that she has been harboring and really keeping from her self in a way. I found this book to be such a wonderful historical read! I loved how the chapters began and ended with Carrie "Dell's" accounts and then the story filled in the rest of the details and added more to the story. Therefore, the story was filled with emotion, trials, and small moments of joy. This made the women so real and so relatable and I felt as if they came alive and we became close friends. Jane Kirkpatrick truly has a skill for bringing historical accounts to life and her novels are not to be missed by those whom enjoy historical fiction! "How Joyful People Think: 8 ways of thinking that lead to a better life," written by Jamie Rasmussen is an excellent book for everyone to read! Our perspective and mindset have such an impact on how we live, how we respond to situations, and just overall our life in general. This is not to say that we must be happy all the time, and never upset or sad; instead it is remembering to be mindful our perspective and the kind of thinking that we practice. This book revolves around one verse in the Bible: Philippians 4:8. This is a relatively common verse; however it can be glossed over just read through quickly. By breaking it down and really focusing on what it says and means is impactful. I love how this book is laid out with the various chapters addresses a certain word or phrase, for example there is a chapter focusing on excellence, focusing on excellence in what truly matters, and another chapter focuses on one's reputation and how others see us and really being that person who others see. In today's society there is so much negativity all over the news and on social media it is so easy to get caught up in that and feeling anger, self-pity and resenting others for what they have. This book will help the reader to work away from those feelings and instead feeling joyful, feeling content, feeling at peace. Mercy can be such a powerful thing, it is a simple word, but it's effects can be so strong, and yet it is often not given as often as it should. 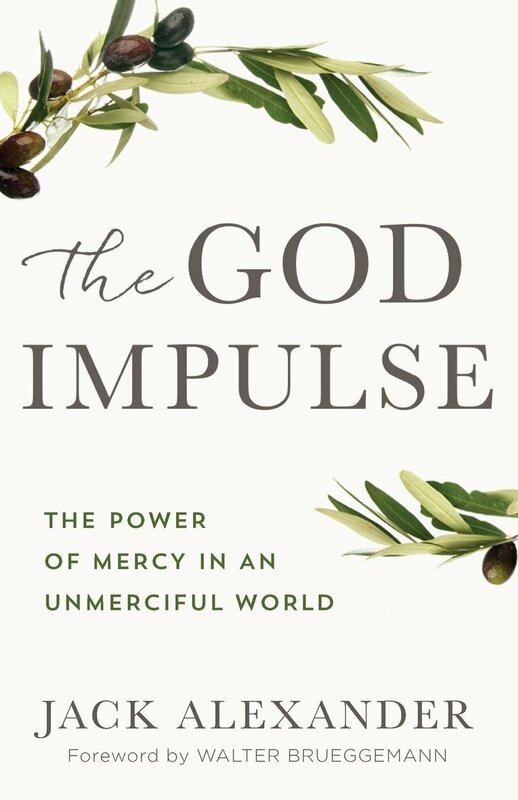 Jack Alexander's recent spiritual growth book, "The God Impulse: the power of mercy in an unmerciful world" addresses the concept of mercy and how we can each live like Jesus. This is a very thought-provoking, powerful book. Jesus' time spent on earth ministering had such an impact and he showed mercy and shared truth every where He went. However, we pass by people day in and day out and don't pay attention, much less show kindness and mercy to them. There is so much hurting, hate and just destruction in the world today, and this book will help you to view the world in a different way and help the reader to follow Jesus' example to go and show mercy. Divided into various sections this book will really help the reader to emulate Jesus' heart and attitude toward others as we strive to live like Him in this hurting world. This book is eye-opening and gave me a new perspective and I am hopeful that I can make a change in how I live and the interactions I have on a daily basis. I highly recommend this book! Every year at this time I look forward to the new Christmas novella from Melody Carlson and I have never been disappointed, this year is no different! First of all, the cover is gorgeous and the title intrigued me before I even read the blurb about the novella. As soon as I started reading I knew how I wanted the story to end, how I hoped it would end and lucky for me it did, but it also had so much more than I thought as the story unfolded. Wendy is taking a trip to Maine with her son Jackson to check out the condition of the family cottage that was left to her. However, her perspective of the trip varies greatly from Jackson's as Jackson sees it as a fresh start for them while Wendy sees this cottage as a way for her to survive. Wendy plans to make needed repairs and sell the cottage as quick as she can in order to pay off the medical bills from her late husband's treatments and care and be able to get back to work and their life. However, Wendy is not prepared for the condition of the home, the excitement and contentment she sees in Jackson when they arrive or the memories that surface for her. As Wendy works on the home and receives help along with friendship from others around her, she begins to struggle as to what will be best for her and Jackson and if it can match with the responsible choice she needs to make as the responsible adult and mother. Melody packs so much into this novella! I loved the story and seeing the changes in Wendy and Jackson and how the environment contributed to these differences. Thanksgiving spent as Caleb's guests was such a sweet time and I loved the images that were created from this. Another scene is particular I liked was Jackson bringing in the Christmas tree. I loved the relationships that were being built and seeing the changes taking place. I highly recommend this "feel-good" read! "ThoughtFull: discovering the unique gifts in each of us," written by Dorena Williamson, is a cute children's book with a good message for all. It is award day at school and a child Ahanu is awarded for being thoughtful. However, later on in the day Joshua sees and overhears a couple of his peers discussing Ahanu and they are making fun of him. Joshua talks with his dad and he stands up for his friend. 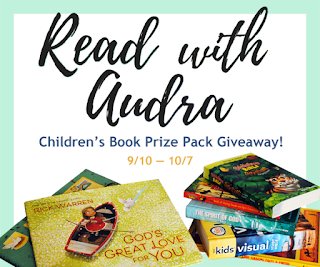 The story is sweet and a good lesson and it highlights how different people have different abilities and traits, such as Ahanu being kind to others. However, based on the description of the book I was expecting the book to be a bit different as it discusses children with developmental disabilities and how God makes each of us special and unique in our own way. Ahanu has Down Syndrome, this is mentioned, but nothing is gone into detail, just implying that he is kind and he sees the world differently. I would have liked more "meat" to this book to really utilize this to help teach and share with children. This being said, it is a beautiful book and good lesson and it will make a great conversation starter with children! 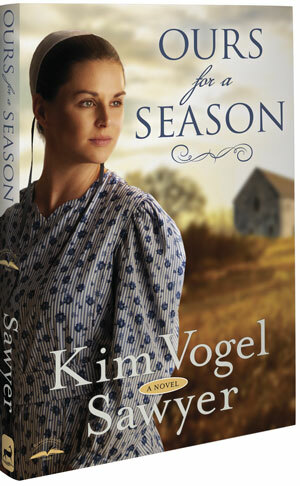 "Ours for a Season" is the latest read from Kim Vogel Sawyer and it is one of my favorites from her! The characters are so real, they come to life off the pages; Kim does a fantastic job with character development. Anthony and Marty have had some devastating news and it has been a wedge between them. When a childhood friend reaches out, it seems like it could be a help and almost like a refresh for them. However, it may be too much and too late. The struggles and interpersonal dynamics are so realistically portrayed that I found myself welling up in tears at times and feeling hopeful in other moments. The health concerns and issues, the marital relationship struggles and the feelings of peace that would be just out of reach can be everyday struggles and it was so easy to connect with the characters but at the same time while reading, there are feelings of comfort and hopefulness. I highly recommend this read, this is an inspiring and moving read! You can also enter to win a copy of The Spirit of God Illustrated Bible and other awesome kids' releases in a giveaway hosted by Read with Audra. Details below! This is a really nice hardcover edition that is perfect for sharing with children. It is the perfect size to snuggle up with and read. What stands out to me the most is that every single page is so different! Not only just the illustrations, but the amount of text on the page, how the text is presented, and where on the page the text is. It is a book that will definitely hold a child's attention as there is so much detail in the illustrations and the stories are written at a level that a child can understand and not be overwhelmed or confused. 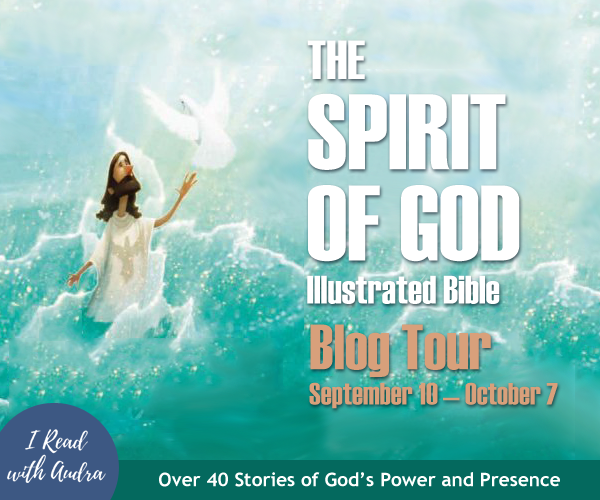 There are 40 stories and it is a nice mix of stories from both the Old Testament and the New Testament. Each story focuses on the Spirit of God, His presence, His power. Some accounts are more commonly heard and known, but there are a few that will most likely be new or not as common for most making this a nice mixture included as well. This would make a nice gift and a good book to help children about God and who He is. "Not the Boss of Us: putting overwhelmed in its place in a do-all, be-all world" is a book you want to read with a pen or highlighter handy as there are so many lines I underlined and starred! The author, Kay Wills Wyma, shares her own experiences and her time with trying to juggle all of her to-dos and how this plays out in real life for herself and her family. This is a refreshing book as it is real-life and someone I could relate to and feel as if I could learn some things and not being alone with this struggle. Also, as stressed in the introduction, perspective is a like a fresh drink of water, gaining a new perspective, another's perspective and this is what this book did for me. Each chapter focuses on a specific area, or aspect; for example, being overwhelmed by group pressures, as this is a big one for so many in today's society. Instead of being overwhelmed by this, be overwhelmed by belonging. Each chapter puts a different spin, a different approach and perspective to that specific area. One of the many lines I highlighted is the point of being kind and grace-oriented with ourselves and using our gifts instead of being overwhelmed with performing so many things just to do them for that point, but instead using our gifts which will give us a sense of purpose and we will feel good, not stressed trying to be who and what we are not. A great read and one that I needed to read. This is cute little joke book, the perfect size for kids to take along with them to read anywhere and share the funnies with others! There is a variety of types of jokes such as knock - knock jokes, one-liners, riddles and cute illustrations to go along with some as well. My two children thought these were hilarious and enjoyed reading silently to themselves and then just having to read them out loud to whomever they were around at the time as well. One favorite is: Q: why is the math book so sad? A: because it's got so many problems! This would make a perfect stocking stuffing for Christmas in a few months or a fun addition to have along on a road trip! 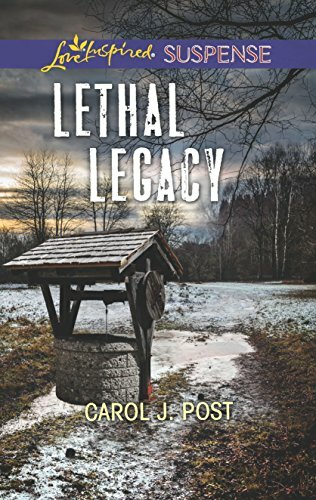 "Lethal Legacy" takes the reader back to Murphy, North Carolina and in the midst of heartache and a fight to survive. Out of habit, as he does each time he returns home, Bryce looks over at the neighbor's house next door; seeing a vehicle and lights on he decides to go make sure whomever is there is to be there. Bryce is in for a surprise when he discovers the door ajar and the neighbor's daughter on the floor, the daughter whom has not been home in 12 years and whom has a past with Bryce. As Andi shares the story of why she has returned home and how there were 2 individuals with ski masks on in her home, Bryce is alarmed and knows that he has to do all he can to protect Andi and to discover what truly happened to Andi's parents and the odd behavior her father exhibited the past few months prior to the accident that took his life. I really enjoyed the first book that Carol had written taking place in Murphy and I was happy to be able to return there and be reintroduced to Bryce. This is a well-written story that moves right along at a good pace while keeping me guessing through the twists and turns and constantly trying to figure out the whos, whats, and whys. The relationship and past history between Bryce and Andi played such a big role and yet they were able to put some of it aside to work toward a common goal. The suspense and romance are nicely balanced and the theme of God's protection and love shines through. This is a quick read and a good thing since you will not want to put it down once you start reading!